If you’re like most men, then you’re probably okay with delaying your first prostate exam for as long as possible. Aside from skin cancer, prostate cancer is the most common form of cancer found in American men, making it incredibly important to monitor the health of your prostate. In today’s post, we’ll take an in-depth look at the most recent prostate cancer data released by leading research organizations. Whether you need a prostate exam or you’re thinking about beginning testosterone replacement therapy, Men’s Vitality Center is here to help you protect and maintain your health. If you’d like to schedule an appointment at our men’s health clinic, then get in touch with us at 520-399-6574 or fill out our short online contact form to get started. Let’s start with the basics. 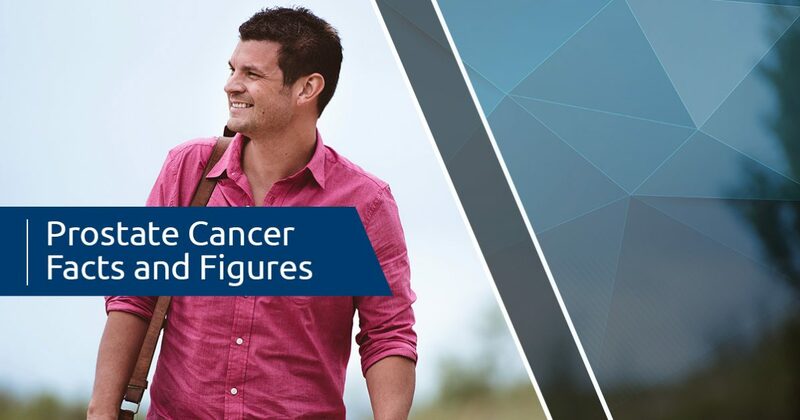 As we noted at the outset of this post, prostate cancer is the second most common form of cancer diagnosed in American men. The American Cancer Society estimates that there will be roughly 164,690 new cases of prostate cancer in 2018 alone. Prostate cancer is mostly a concern for older men, and the risk of developing this disease increases with age. Prostate cancer is most frequently diagnosed in men between the ages of 65 and 74, with 66 being the national average. Let’s take a closer look at new prostate cancer diagnoses according to age group. According to the National Cancer Institute, .5 percent of men between the ages of 35 and 34 are diagnosed with prostate cancer. This figure jumps to 9 percent when we look at men in the age range of 45 and 54, which is why most men begin to have prostate exams around age 40. It’s important to speak with your doctor about ongoing prostate exams, as the diagnoses statistics increase sharply in the next two age groups. Men between the ages of 55 and 64 account for 32.7 percent of new cases, and men in the age range of 65 and 74 account for 38.8 percent of new diagnoses. While the numbers regarding prostate cancer diagnoses may be surprising, the survival statistics are quite optimistic. Drawing again from the National Cancer Institute, 98.2 percent of those diagnosed with prostate cancer will survive for at least five years, and the majority of those who survive will go on to live healthy, normal lives. Researchers are almost in unanimous agreement that increased screening frequencies account for this rate of survival, as prostate cancer is almost always caught and treated before it can spread to other areas of the body. Men’s health clinics like ours have only served to add to these optimistic data. It’s important to monitor the health of your prostate, particularly if you have any close relatives who have ever been diagnosed with prostate cancer. 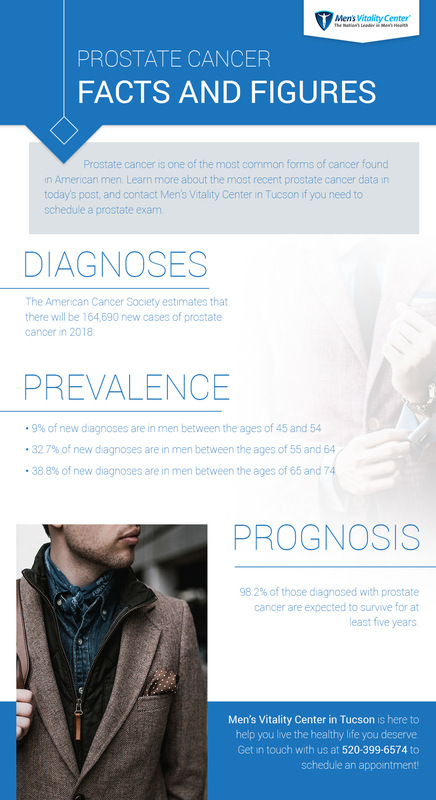 At Men’s Vitality Center in Tucson, we’re committed to helping you monitor your prostate health and live a full, fulfilling life. If you’re interested in learning more about our services, then please get in touch with our men’s health clinic by filling out the contact form at the bottom of this page. Whether you need testosterone replacement therapy, medical weight loss, or regular prostate exams, we’re here to help you live the healthy life you deserve.